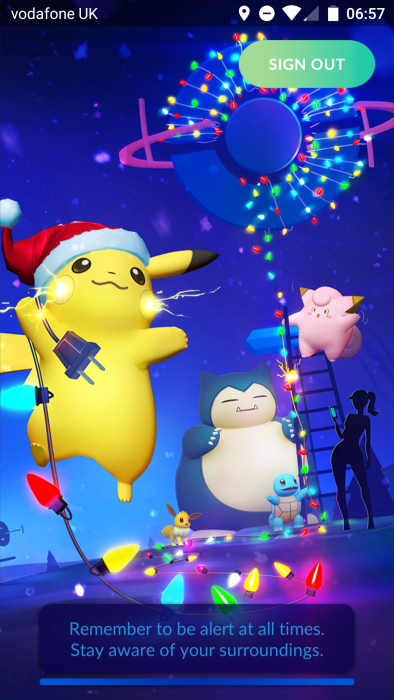 Pokemon Go has just released its festive season event, and players have good reasons to be merry. The location based augmented reality game developed by Niantic delivers new Pokemon to catch and some festive decorations to boot. The new splash screen is quite festive, I can not lie. This festive update brings with it hatchable baby Pokemon, like Togepi and Pichu. Other new Pokemon are on the way, but the babies are a good way to get candies to upgrade your existing higher evolution Pokemon. 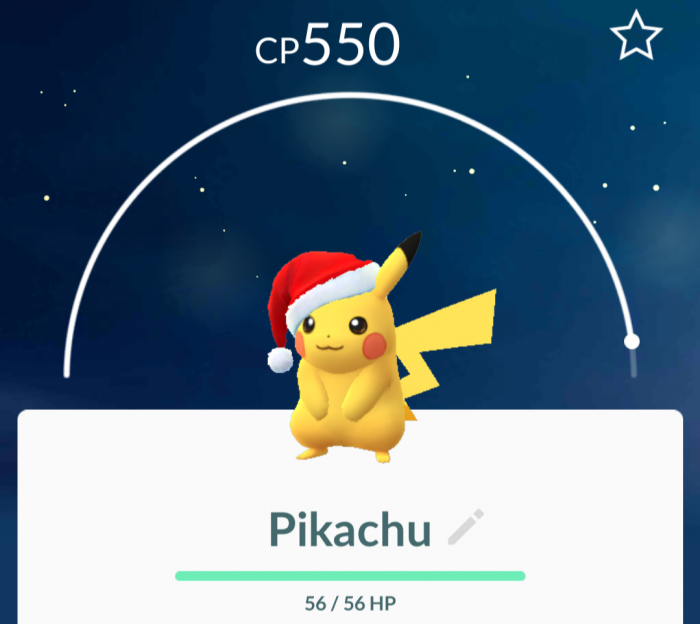 Just to make sure you don’t forget it’s Xmas, there is a special Pikachu Pokemon with a Santa hat on (I’m quite proud I caught one…).